By being pre-screened, the legal operators also save valuable time usually spent waiting in long queues at the static weigh bridge. The MASS5000 system is a portable weigh in motions system that measures axle and GVM weights accurately and quickly. 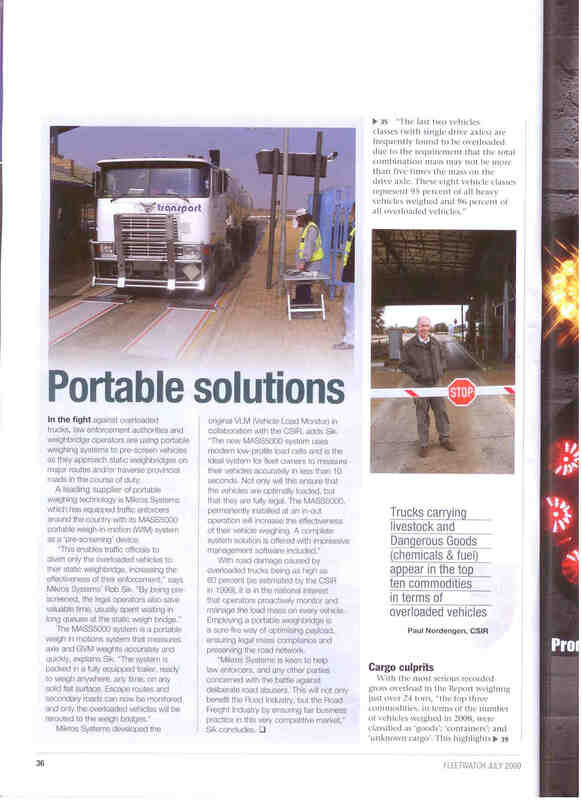 The system is packed in a fully equipped trailer, ready to weigh any where, any time, on any solid flat surface. Escape routes and secondary roads can now be monitored and only the overloaded vehicles will be rerouted to the weigh bridges. In 1999 the CSIR estimated that overloaded vehicles are responsible for approximately 60% of the damage to the road network, representing some 400 million annually, clearly illustrating the seriousness of the problem situation. For fleet owners the MASS5000 is the ideal system to measure their vehicles accurately and quickly. Not only will this ensure that the vehicles are optimally loaded but still within the legal load limits. 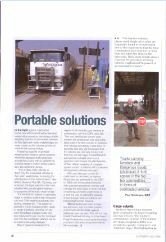 The MASS5000, permanently installed at an in-out operation will increase the effectiveness of their vehicle weighing operation. A complete system solution is offered with impressive management software included. 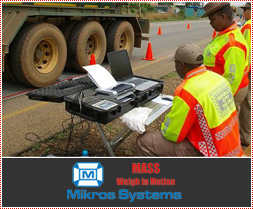 Mikros Systems has been active for 30 years in the design of world leading traffic monitoring and weigh in motion equipment with comprehensive software solutions. Mikros Systems is keen to help law enforcers, and any other parties concerned with the battle against deliberate road abusers. This will not only benefit the Road Industry, but the Road Freight Industry by ensuring fair business practice in this very competitive market.